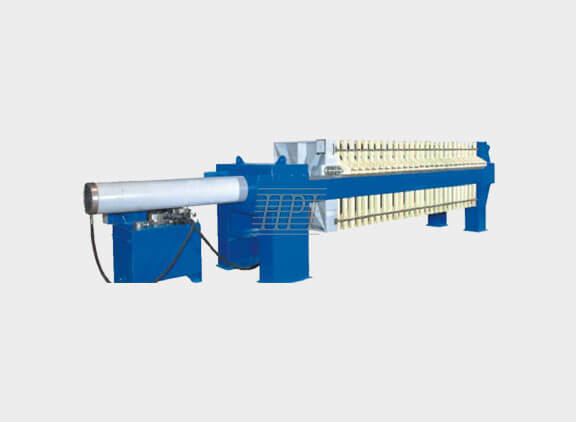 Hydro press Industries has earned a distinct niche in various types of filter press which is known for its flawless performance and affordable price. We manufacture manually operated filter press with capstan closing devices and gear and ratchet mechanism. A manual filter press is among the oldest types of filtration equipment. 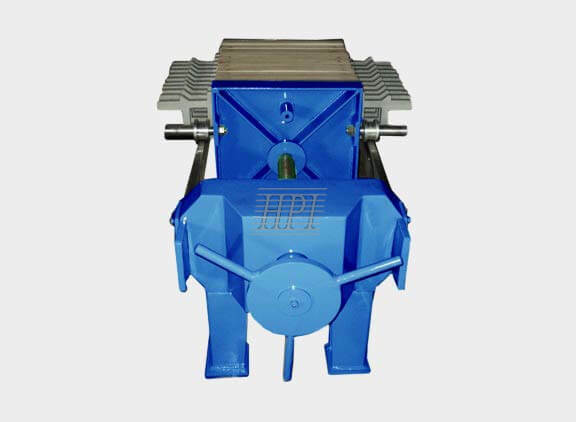 It produces the highest cake solid concentration of any mechanical dewatering equipment. To handle small quantities of material, manual filter presses are handy. They are inexpensive and easy to use. It consist of hydraulic cylinder and motor operated power pack. 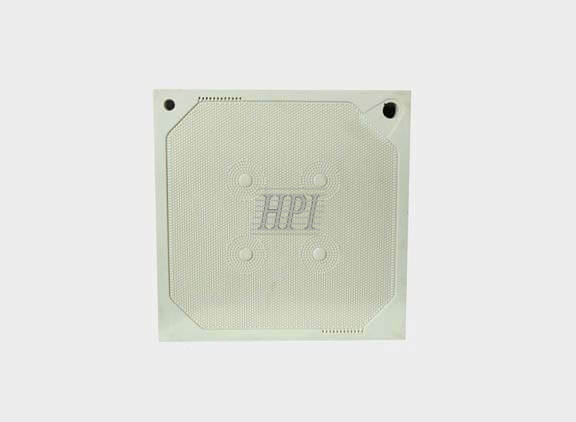 When activated, the cylinder moves forward and the plate pack is completely sealed under 250 bar pressure. The operation is similar to the electro hydraulic closing system. 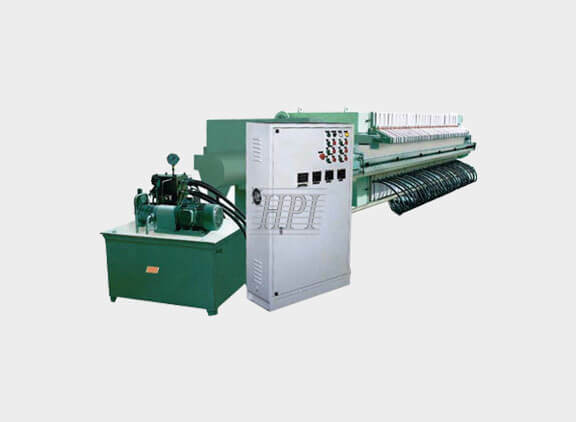 An automatic filter press is similar to that of normal recessed chamber filter press, except that the whole process is fully or semi automated. 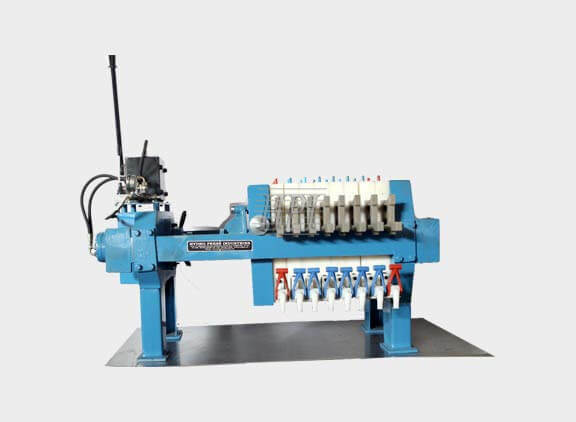 Automatic filter presses usually comes with a plate shifting mechanism to move the plates and allow rapid cake discharge from the chambers of filter press. 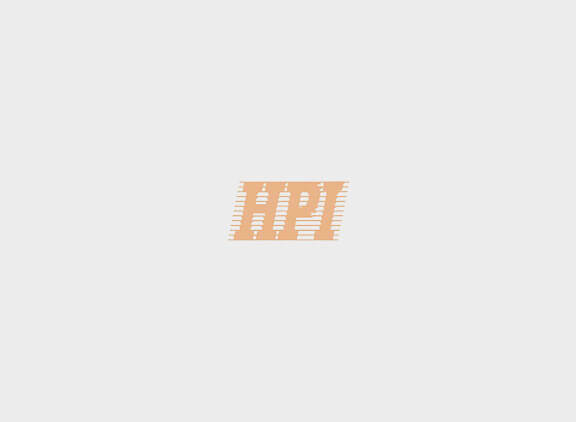 In an automatic filter press, as the name implies, the whole process is automated. 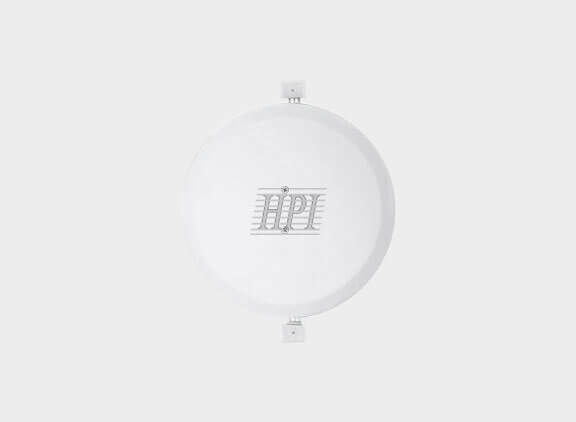 The precise design makes it easy to maintain with a long service life. 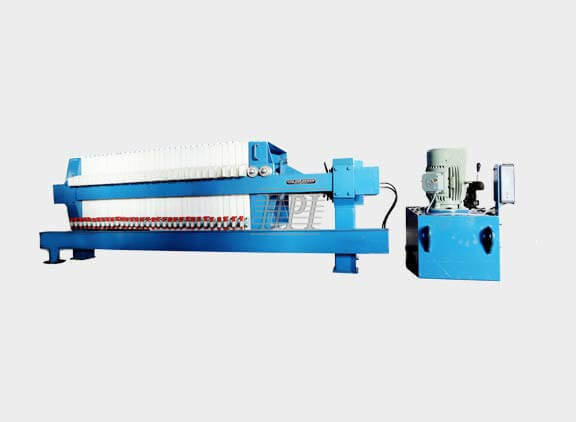 The machine consists of a larger plate and frame filter presses with mechanical plate shifters. 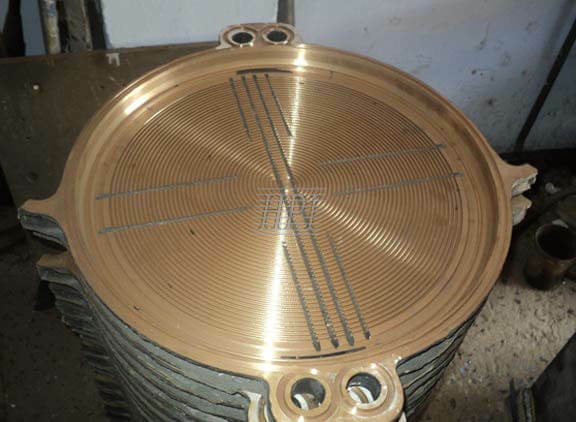 Corner feed plates are incorporated into the filter press design. The plate shifter moves the plates and allows rapid discharge of filter cakes accumulated in between the plates. Membrane Filter Presses are used for extra moisture reduction in the cake. 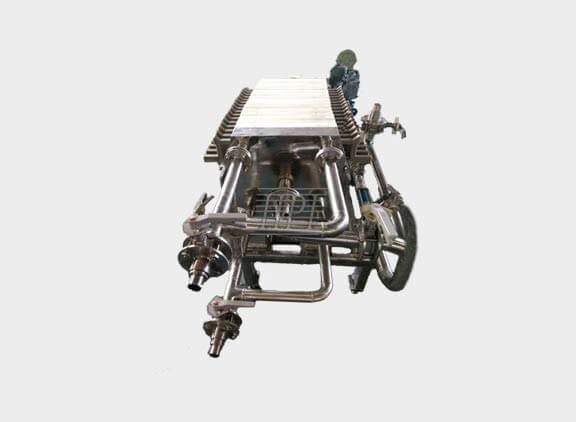 Gelatine filter press is widely applied in gelatine and collagen filtration system, which works fast and is convenient in operation. The filter press structure is entirely fabricated in Stainless steel which best suits for food applications. CGR Filter press with CGR Plates recommended to be used and necessary for leak proof conditions like toxic substance, acidic solutions etc. Many filtration conditions are with feed slurry temp as ambient & working pressure upto7 Kg./cm2. 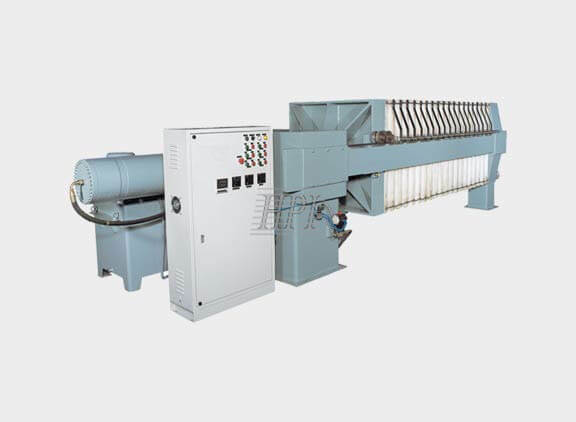 In a conventional filter press, the operating pressure is about 6 to 7 bar maximum. 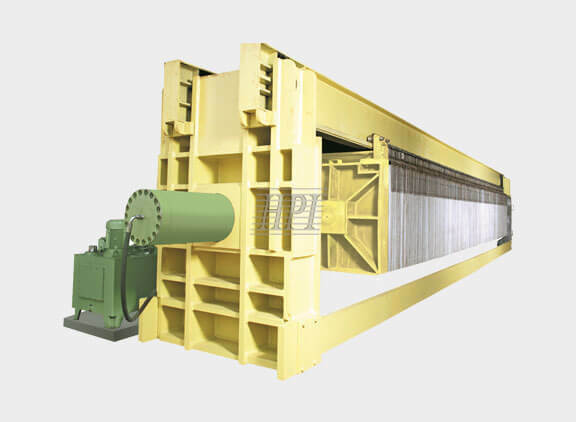 The Round plate Filter Press is widely used for solid liquid separation in Stone Wastewater, Ceramics, Insulators and Kaolin industries.